Lunch-Hour Wool Minis by Kathy Brown is another book in the Lunch-Hour series from That Patchwork Place. 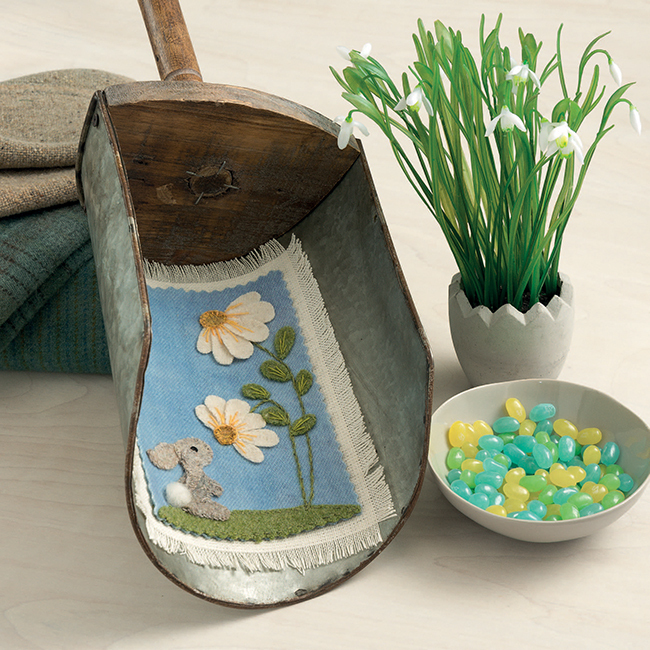 It includes 14 small wool appliqué projects which are portable and small enough to complete quickly. I'm really enjoying the various books in the Lunch-Hour series as they are small enough to finish quickly and many of them are portable. 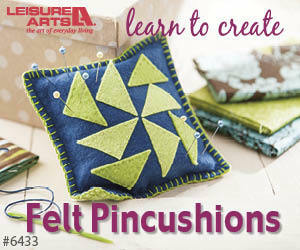 I love appliqué and hand embroidery and this book has projects using these techniques. If you haven't seen my reviews on some of the other books, just click here. 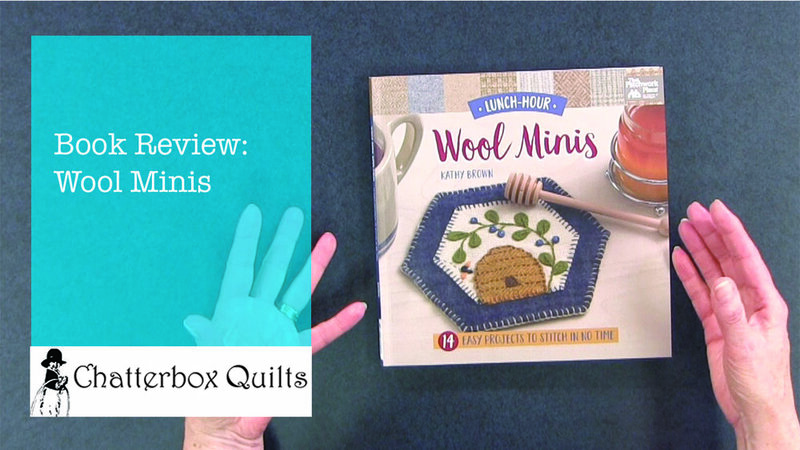 Kathy includes information in the front of the book explaining the type of wool to use in these projects and her best tips for wool appliqué. This is very helpful if you have never worked with wool before as it is a bit different than using cotton fabric. 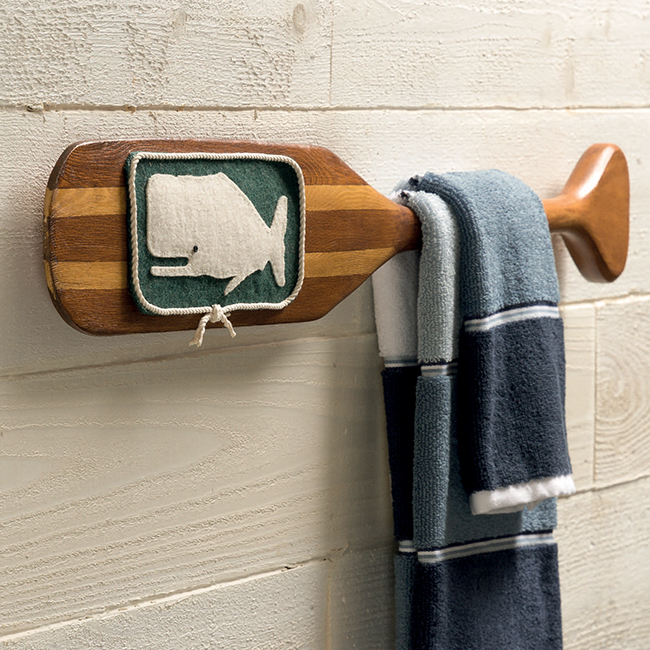 The projects in Lunch-Hour Wool Minis include wall hangings and other similar type projects, but there are also some more unusual projects, such as adding wool appliqué to an oar or to a key holder. To see more of the projects in Lunch-Hour Wool Minis, click on the image below to watch a video on my YouTube channel. To get your own copy of Lunch-Hour Wool Minis, just click here.